Modern HVAC systems offer features and functionality that go above and beyond what was available in the past. Create an eco-friendly home. Talk to contractors that can help you select, install, care for, and maintain HVAC solutions for your home. Established in 2006, Modernize has been helping homeowners like you for over 10 years. 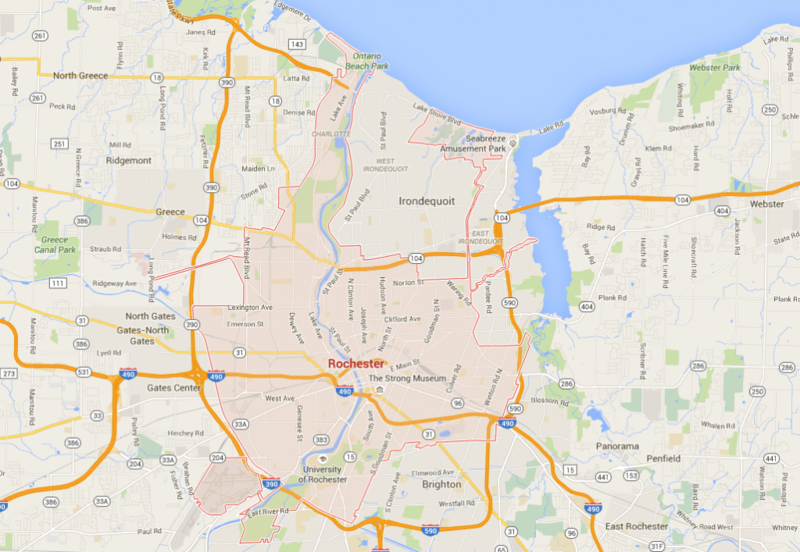 Let us help you search for HVAC in Rochester, NY. We are known for helping homeowners find the best local costs for HVAC system services in their area. It is always smart to compare at least four different price quotes from contractors to make sure you are getting the best local prices on installation services. Compare quotes from the best of the best in local HVAC contractors today! Get free quotes from the best hvac repair contractors in Rochester, NY, ready to complete your project. Residents of Rochester, New York must often face the challenging task of replacing their properties HVAC “Heating, Ventilation, and Air Conditioning” system. The installation or replacement may result from a mechanical failure, installing equipment in new construction, or the desire to upgrade to a more energy efficient system. Whatever the reason, this Modernize guide will help you learn the information necessary to retain a contractor, and purchase and install a new HVAC system. Traditionally, when purchasing a new HVAC system, the property owner retains the services of a heating and air conditioning contractor to provide and install the applicable equipment. Choosing the right contractor for your HVAC installation is probably the single most important step in the HVAC buying process. Because HVAC installation usually requires a permit as well as specialized tools and knowledge, it is unlikely you would install it yourself. As there are many HVAC contractors for hire in the Rochester area, do your due diligence before signing into an agreement. The State of New York has set into place several requirements that are necessary to engage in HVAC service and installation. The first is a certification exhibiting that the individual contractor possesses the knowledge and training required for HVAC systems. The second is obtaining and holding the necessary licenses and workers’ compensation insurance. Rochester residents can obtain a list of current license holders as well as building permit requirements and information by visiting their website. After checking the references and obtaining written estimates for at least three HVAC contractors, it is time to get your project rolling and choose a contractor. Of course, cost will play a major role in determining which contractor you choose. The least expensive is not always the best option as many times corners are cut or quality of the installation suffers to maintain profitability for the contractor. Home improvement centers and big box retailers offer an alternative when purchasing an HVAC system. They employ sales representatives who will measure your property, ascertain the type of system suited for your project and provide you with a written estimate. There are several advantages and disadvantages when purchasing your system in this manner. Since the big retailers will provide the installation contractor, you will avoid the cumbersome tasks of verifying certifications, insurance coverage, and required licenses. This can save you a lot of time and worry. However, you do lose some control as to who shows up at your door to install it. Purchasing through a big box retailer also provides you with an extra layer of protection should warranty issues arise. They stand behind their products and often offer extended warranties that exceed those provided by the manufacturer. Many offer attractive rebates and financing options as well. There are many types of HVAC systems available, including heat pumps, geothermal heat pumps, straight cool, a ductless AC system and mini split systems. Your contractor or sales representative will help you determine which type is best suited for your property. The following list is a brief breakdown of the most common systems available. An interior air handler combined with an exterior compressor. Ducts that distribute the conditioned air. A thermostat to adjust desired temperature levels. A filtration system to protect the system and improve indoor air quality. Packaged systems offer a space-saving alternative over split systems, which require additional inside space. Can connect to both ceiling and floor mounted duct systems. Operate via a programmable thermostat. Utilize air filtration to protect the unit and improve indoor air quality. No duct work is necessary. Greater control over your inside climate. Often operated by a remote control. Suitable for future expansion of the system. Installing a new HVAC system can increase your property value. Online calculators are available that allow you to enter your square footage and zip code to determine your expected increase in property value as well as your expected return on investment. Before installing or replacing your HVAC system, schedule a home energy audit to determine the energy efficiency of your home. To realize the maximum benefits of a new, energy efficient HVAC system, any areas of your home — insulation, windows, doors, weather stripping — that fall short should be corrected beforehand.